MOTEK INDUSTRIES (MI) recently implemented an ISO 9001 Quality Management System, which was certified by IAPMO Research & Testing (an ANAB accredited ISO Certification Body). Julio C. Enriquez (Owner and General Manager) said, “We at Motek have always been concerned about our product quality and our customer’s satisfaction. Towards that goal, we have operated under a quality management system, which is based upon meeting or exceeding our customer expectations. 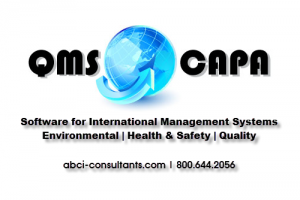 For further information about ABCI Consultants, contact Jack Bogle, 800-644-2056 or go online to ABCI Consultants for ISO Management Systems.